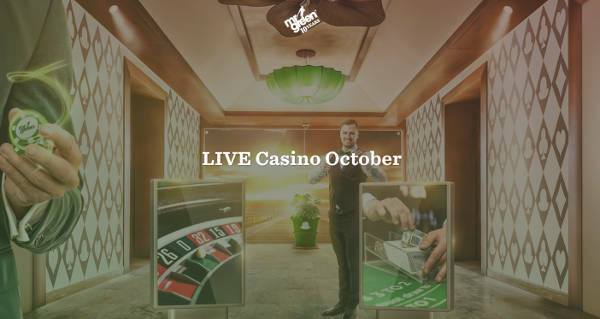 Mr Green Live Casino has some cracking Live Casino promotions during October 2018. Get Dealt a Bonus Card and win up to £50 Cash. The promotional period runs daily between 23.00 on 20th October and 22.59 on the 21st of October. 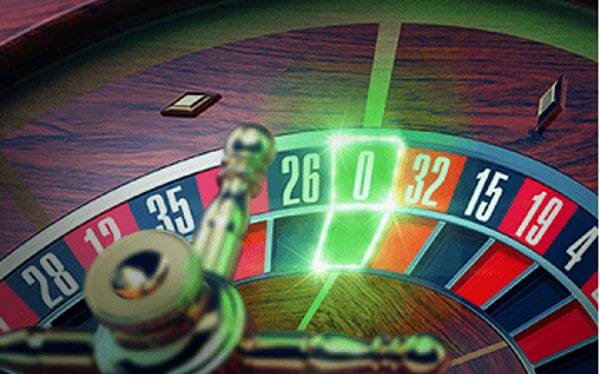 This offer is only applicable for real-money gameplay on Mr Green’s Exclusive Evolution Blackjack tables 1 & 2. Up to 4 Green Cards will be placed randomly in each shoe on every table participating in this promotion within the promotional period. Each Green Card has a real-money value of £10 up to £50 (GBP). Total number of Green Cash Cards available over the total promotion period is 100, divided into 50 equal value winning Green Cash Cards per day. 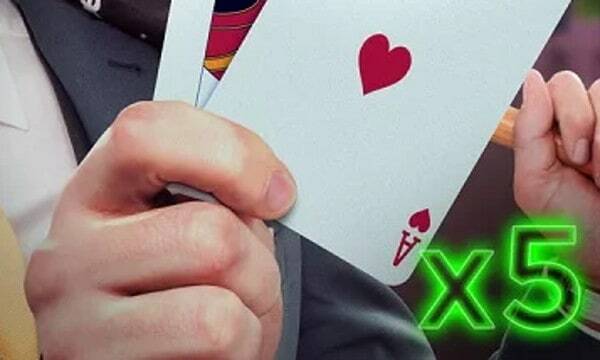 The exact 100 Green Card Cash values are: 50 cards of £10, 40 cards of £25 and 10 cards of £50 (GBP). The cash values of each card are real-money and free of any wagering requirements. 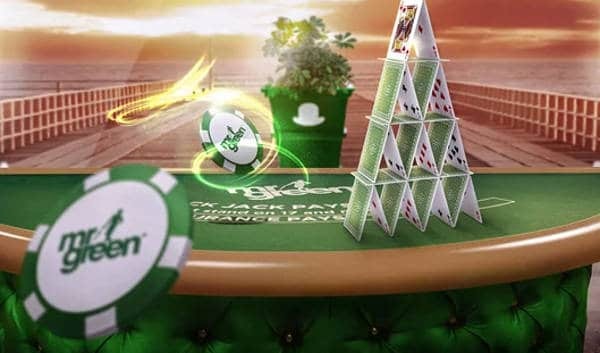 A player dealt a Green Cash Card will win the Green Card cash value regardless of the outcome of the active hand. If a Green Card is dealt to the dealer, it will be re-entered back in to the shoe. Get 10 consecutive hand wins on Blackjack to win a £100 Bonus. This promotion is only valid from the 27th October at 23:00 until the 28th October at 22:59. This offer is only applicable for real-money gameplay on Mr Green’s Exclusive Evolution Blackjack tables (1, 2, 3, 4, 5, Fiesta, German). Participating players must win ten (10) consecutive Blackjack hands from a single Blackjack table seat in order to claim the £100 (GBP) bonus. Multi-seating is allowed, but the winning streak must be from a single seat. A ‘Push’/’Tie’ does not count towards a loss or win and therefore does not invalidate the streak. (eg: Win, Win, Win, Push, Win = 4 wins consecutive wins). The minimum real-money bet per hand to qualify is £5 (GBP). A bet placed during a streak at less than the minimum stake will invalidate the active streak. Betting behind does not qualify towards this promotion. There is no limit to the number of bonuses that can be claimed during the promotional period. Win 10 Free spins on BerryBurst Slot if you bet and win on Zero. Win 5 hands in a row playing Blackjack to have you last win Doubled, up to £30 max. 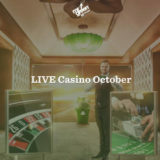 Get 20 Free Spins on Coins of Egypt for every 30 hands you play on Live Beyond Live Blackjack. 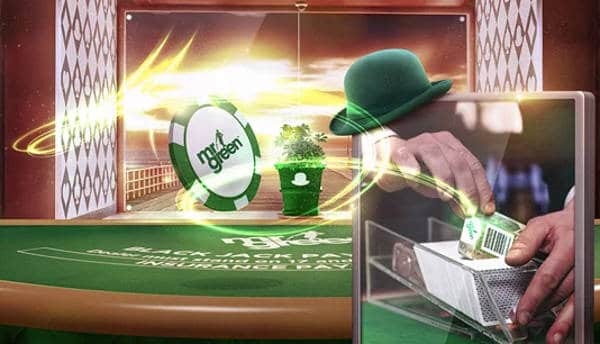 Get 4 Blackjacks in a row on one of our Mr Green Evolution tables to win ta £5,000 Jackpot. 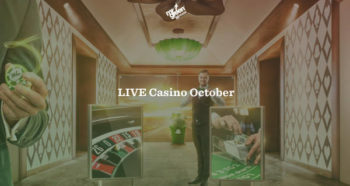 The ‘Rolling Jackpot’ promotion runs from 23:01 on 1st October until 22:59 on 30th October, 2018, or until the monthly jackpot has been won. 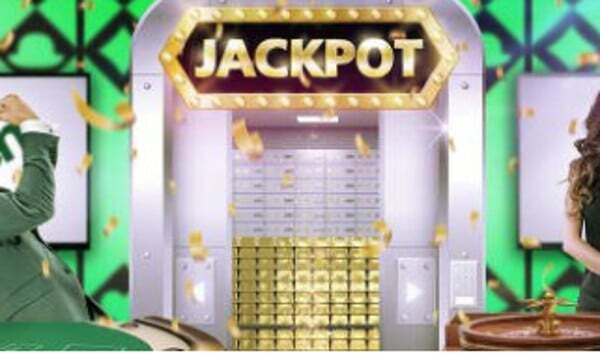 Five-thousand pounds will be seeded to the jackpot prize pool each month. Betting behind is not allowed and only single seat betting is permitted. There will be only one winner for this promotion per month. Prize will be added to the winning player’s Mr Green account within 72 hours. IMPORTANT: Only 4x Blackjacks in a row, bet from single seat wins will qualify for the Jackpot win.